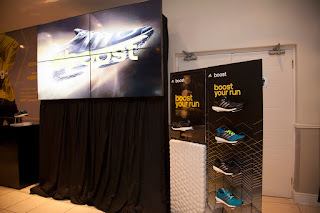 Adidas unveiled their latest running innovation to the Cape Town press on Wednesday 20 February when they introduced Boost, a revolutionary midsole that provides cushioning combined with a firm response to create high energy return, at the Hellenic Club in Mouille Point. 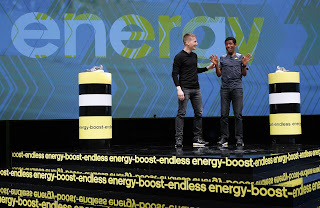 Boost is part of a new adidas segment called Energy Running which has now been launched worldwide. 2013 marks the year of running for adidas, the 2013 Old Mutual Two Oceans Marathon and Two Oceans Marathon Intiative (TOMI) official partner. 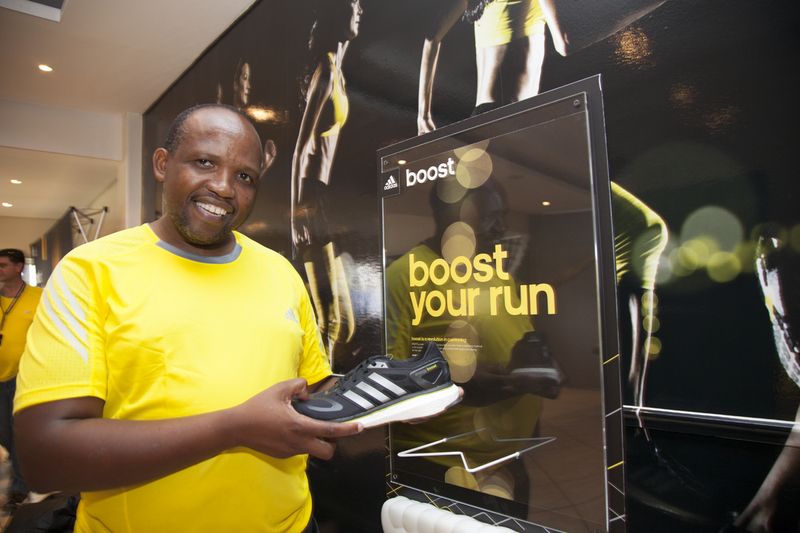 Adidas sponsored athletes will compete in this year’s Two Oceans Marathon, Boston and New York Marathon wearing their Boost footwear. 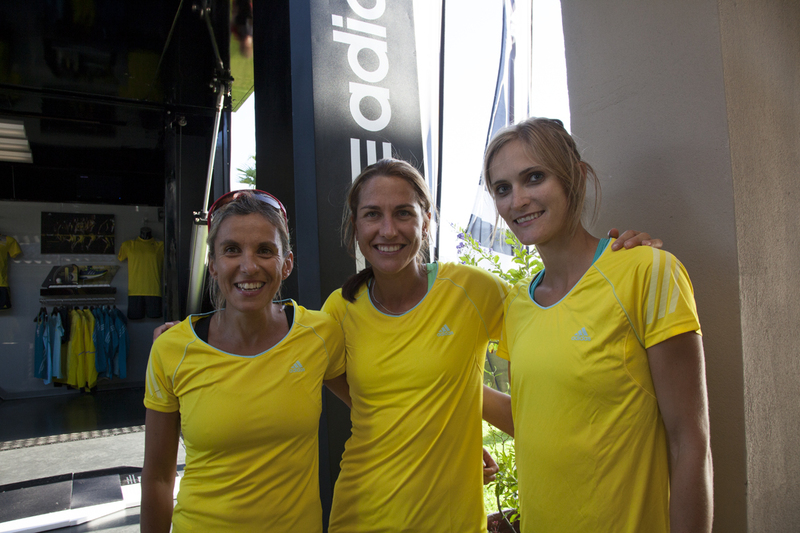 South African women’s runners Elana Meyer, Rene Kalmer and Irvette van Blerk joined the press in their adidas Boost run along the Sea Point Promenade for the launch. 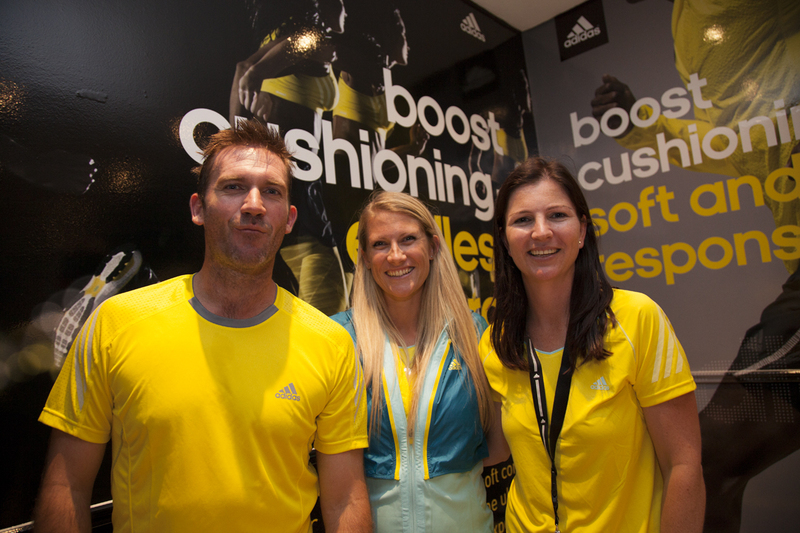 Other adidas ambassadors such as Springboks Jean de Villiers and Bryan Habana also joined the press in their run. 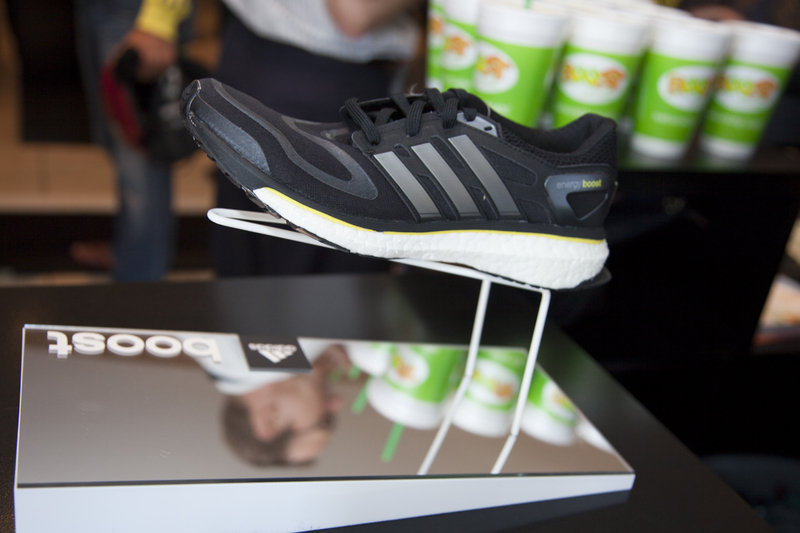 Adidas partnered with BASF, a leading international chemical company, to create a solid granular material (TPU) which makes up the footwear’s midsole. Boost foam is three times more temperature-resistant when compared to standard EVA foam commonly used in most running shoes, according to adidas’s tests results, when the shoes were taken from +40 to -20 degrees Celsius. The upper features adidas Techfit technology, a stretchable and breathable mesh material which provides targeted support and stabilises the foot when moving. 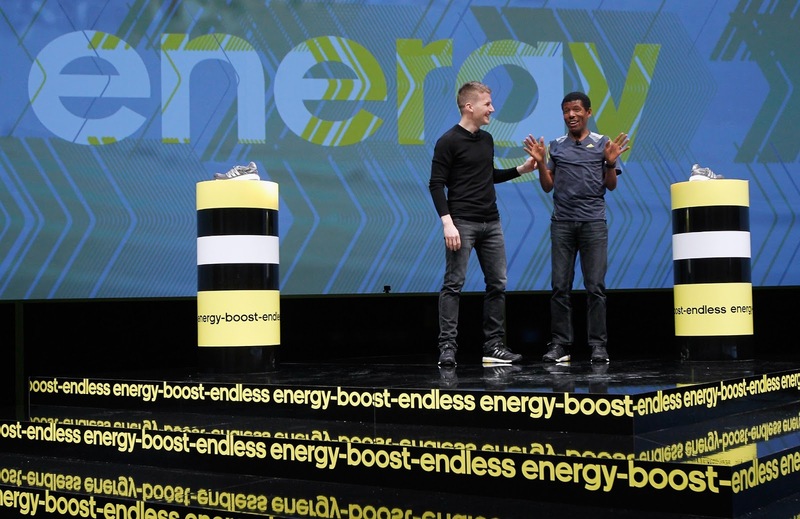 The adidas Energy Boost footwear will be available worldwide at adidas Sport Performance stores, retailers and through e-commerce from February 27 2013. While national shows around the globe are suffering due to the economic downturn, the ispo show keeps growing every year. The recent growth can be attributed to the trend that in tough times people start to re-evaluate their business and look to focus on different brands that might do better for them, suggests Tobias Gröber, business unit leader for the show organisers, Messe München International. 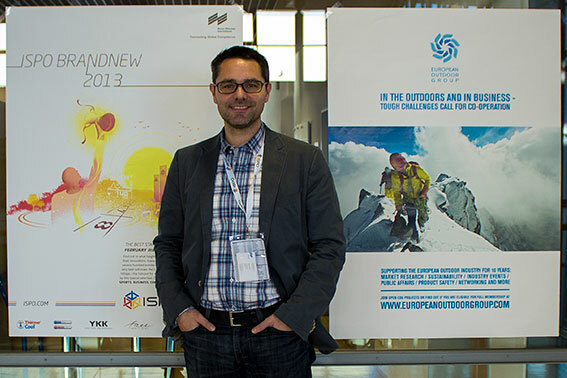 The 2013 ispo Munich show, which ran 3-6 February, saw more than 81 000 visitors attending from 109 countries – a four percent growth from 2012. There was also an increase in exhibitor numbers. This year visitors could visit 2 481 exhibitors from 52 countries, while in 2012 there were 2 344 from 51 countries. With the increase in exhibitors, the exhibition space also increased by 430m2 to 103 220m2. Out of interest, in 1970, at the first ever ispo show, there were 816 exhibitors from 25 countries covering 45 000m2 of exhibition space. It attracted 10 777 visitors from 34 countries. 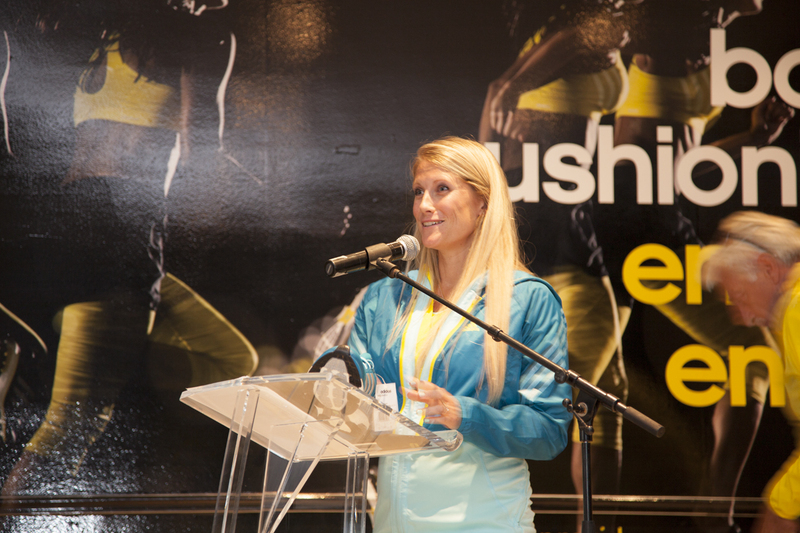 The majority of this year’s exhibitor growth came from the outdoor, fitness, performance and sportstyle categories. While sourcing companies are an essential component of the industry, they are purposefully limited to two halls. This year the other 14 halls were taken up by action sports (three halls), outdoor (three halls), sport style (two halls), ski (two halls), and performance, ispo Vision, health/fitness and textrends/BrandNew (one hall each). 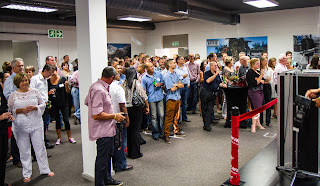 He attributes the increase in French visitors to ispo’s network of people working in various countries. They set up an info centre network, consisting of people with a history of working in each country’s industry – people who understand the challenges and how the industry operates, as each country is often unique in how they tackle problems. 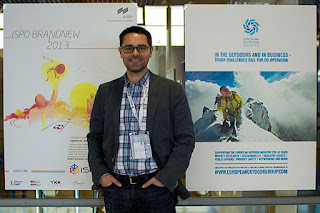 Ispo has grown in popularity despite the easy communication offered by the internet. In the past, before the widespread availability of information on the internet, companies had very little choice but to exhibit at trade shows in order to show other companies their products or new technologies that they have developed. Today, with a press of a button businesses from all over the world can connect with each other through email and the internet. The internet lacks one vital component that makes for a good business relationship: personal face-to-face relationships. This is quite probably one of the reasons why the stands with the after-show drinks are often so popular. It is also sometimes difficult to filter out the information online – to get to the pieces of information that you are looking for, that is sometimes hidden in between other that is less relevant. By talking to a person at a trade show, you can have a live demonstration and feel of the product, which is not as easy in an online relationship, he explains. The services are not only for select members of the trade. They are there to connect every person who earns money in one form or another through sport, for example coaches, resorts that offer sport, event organisers, companies that invest and sponsor sport events, etc. People are kept connected and informed - both online and offline - through various channels, for example, through ispo’s newsletter and magazine. They also offer a networking service, through which companies can make use of ispo’s extensive database to make connections. For example, if a brand wants to find a distributor in a new country, they can book a tailor-made service where ispo will make a customised search on their database for the type of company that they would want to do business with, based on a profile specified by the brand. Alternatively, a company can make use of the online ispo Connect to make new contacts. Both exhibitors and visitors to the ispo show benefit from ispo Connect – before, during and after the show. 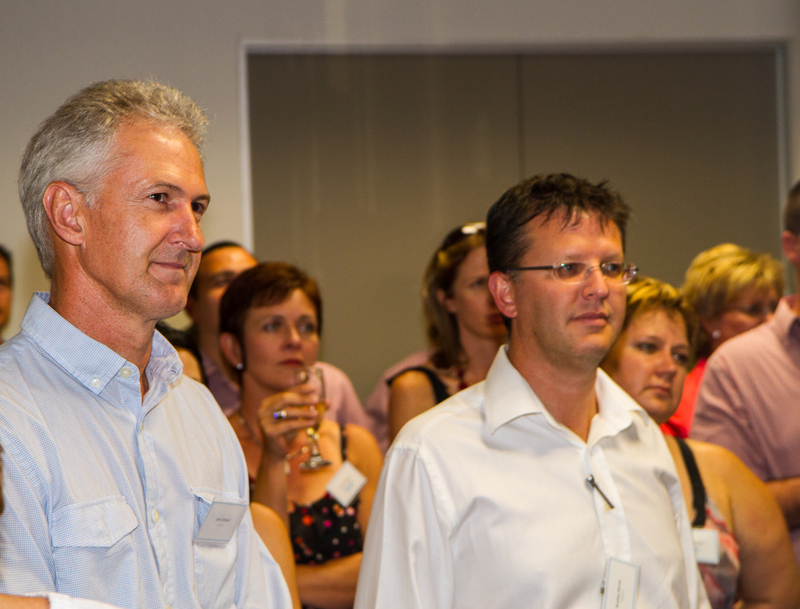 The recently launched ispo Jobs has proven to be popular. The platform allows companies to post jobs and individuals to search for positions. 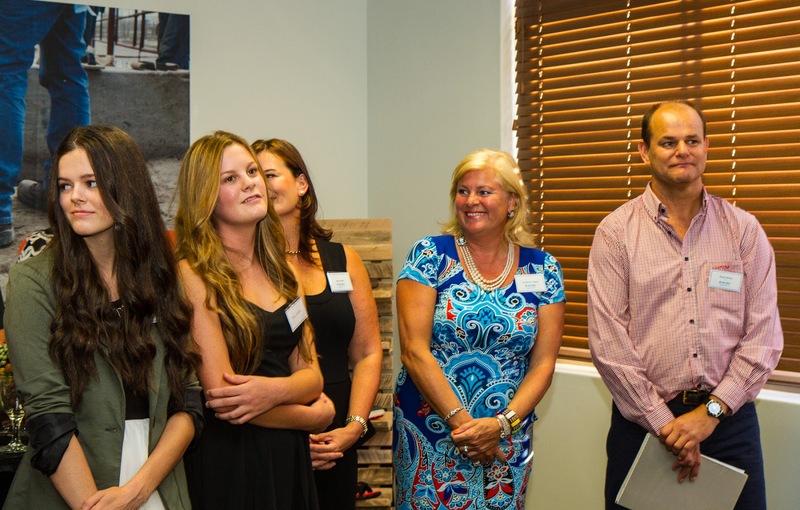 They also help promote new companies through the BrandNew Awards. In addition to the coverage that they receive while at the ispo show, the winners are also supported post-show by ispo through the marketing material that ispo makes available for the companies and retailers to use. 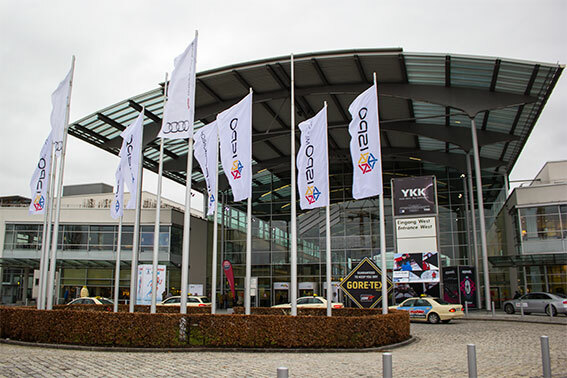 The ispo Munich 2014 trade show will be held 26-29 January. 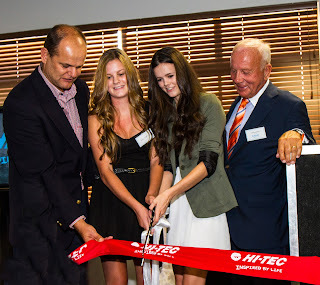 Accompanied by the brassy sounds of a “Kaapse Klopse troep”, Hi-Tec SA general manager Mickey Mallett and international chairman and owner Frank van Wezel greeted their guests on the 7th of February at the opening of their new head office building in Cape Town. 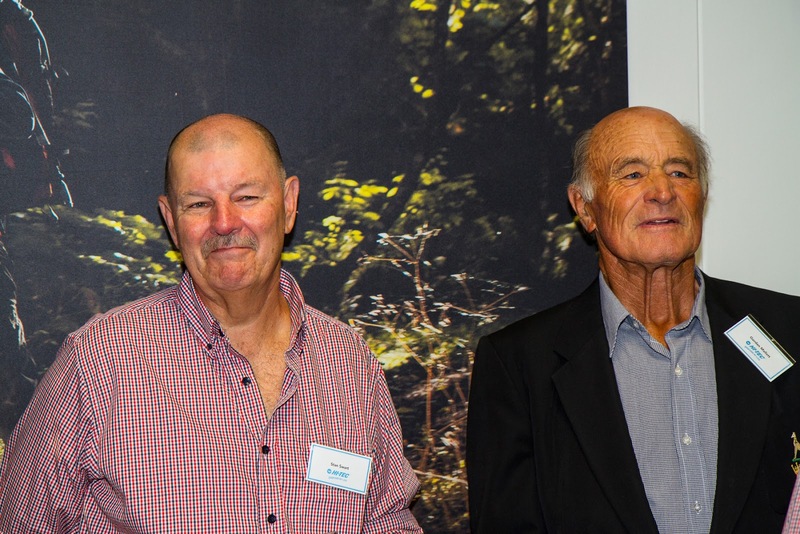 The double-storey building, jointly funded by Van Wezel and Mallett, has green lighting - e.g. with basement lights with motion sensors - and air conditioning, and has two big showrooms for the Hi-Tec and Magnum brands, a large board room for meetings and a canteen where all staff members can mingle during lunch hour. 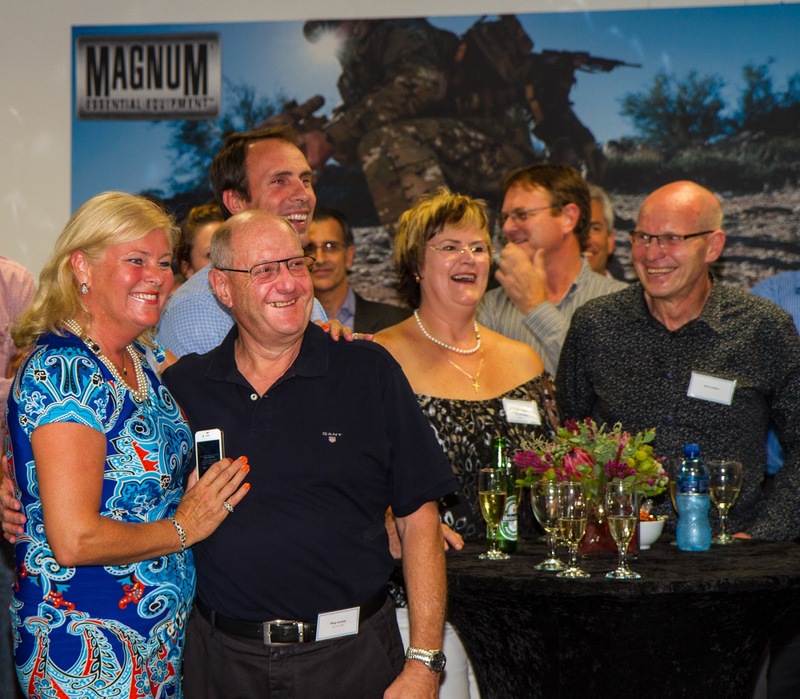 While Frank van Wezel and his wife Caroline are familiar faces in Cape Town, where they spend a lot of time in their Camps Bay home, his son and current CEO, Ed van Wezel, and his wife, Melissa, also flew out for the launch and sales conference. 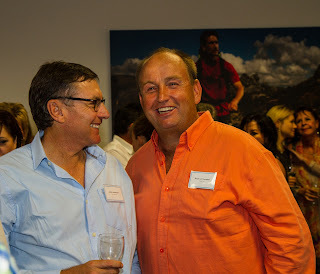 As did Brad Lemkus - nowadays based in London - whose Lemkus Sports formed a joint venture with Van Wezel in 1985 to distribute Hi-Tec shoes in South Africa. 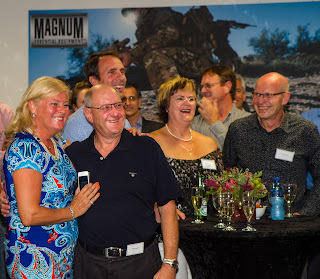 Apart from strong contingents from Cape-based retailers like Cape Union Mart, Holdsport (Sportsmans Warehouse and Outdoor Warehouse), Tekkie Town founder Braam van Huyssteen came from George, Mallett’s parents came from East London and Hi-Tec agents and staff members from all over the country. During the 38 years since he started the Hi-Tec brand in 1974, he has sold 260-m pairs of shoes, said Van Wezel – if the boxes are packed end to end, they will make a pathway from the earth to the moon and back, and back to the moon again. “Please buy more shoes, I don’t want to be stuck on the moon,” he urged customers. 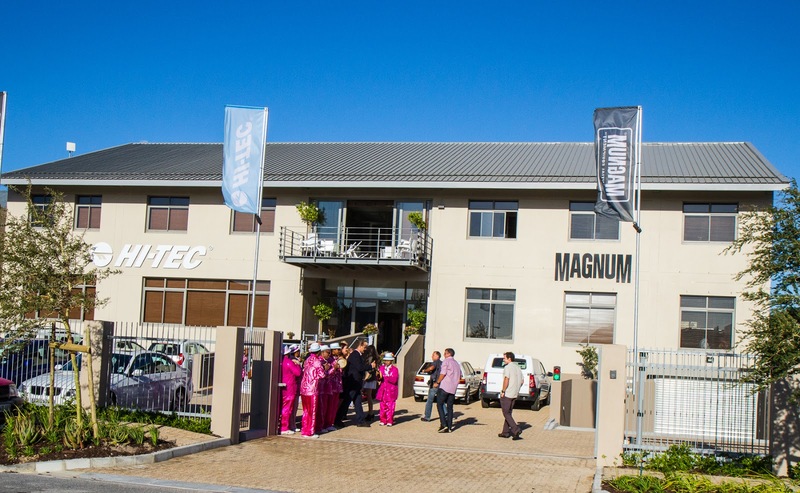 With the contractions of the US economy and problems in Europe (notably Greece, Portugal, Spain and Italy) Africa is one of the new markets Hi-Tec is exploring as a source of new growth. They are already active in Angola, Namibia, Zimbabwe, Zambia, Kenya, Tanzania, Ghana and Nigeria and view South Africa as their entry-point to the continent. Other new markets that will contribute to future growth are Australia, South America and China, where their distributor in one day sold 10 400 pairs of Hi-Tec hiking boots over the internet. 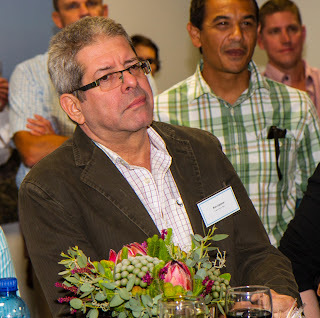 They have also recently opened a new US head office in Portland, where former South African marketing manager Ian Little is currently marketing manager. 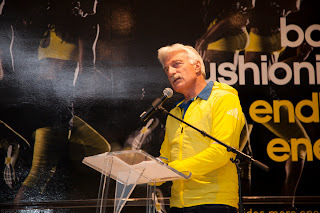 At an informal ceremony on the Friday before the start of the Investec Challenge series at Hartleyvale Stadium in Cape Town, adidas handed over their new kit to the South African national women’s hockey team, due to play against England, Australia and Netherlands. 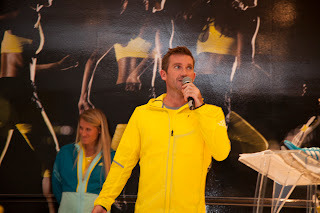 The individual team members were introduced to adidas staff members with much bantering, joking and good-natured ribbing. 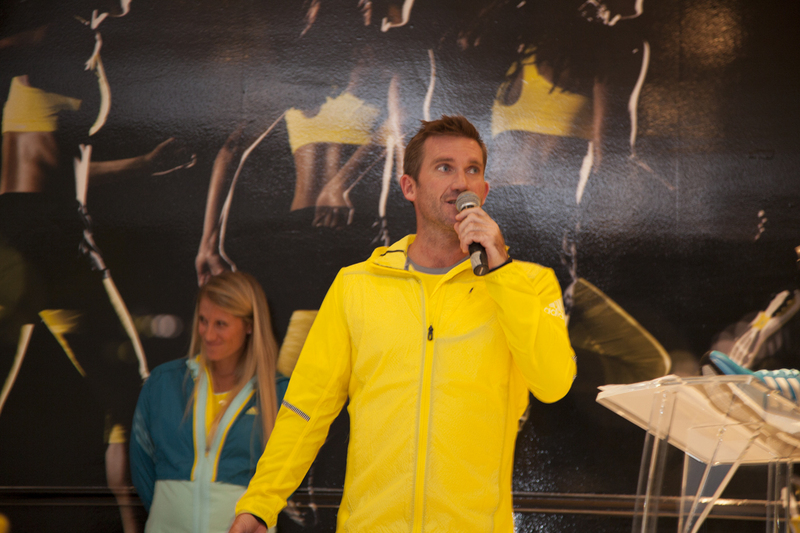 As MC and adidas marketing director Gavin Cowley explained: they wanted to bring the adidas head office staff closer to the athletes they sponsor so that they will identify with them when they see them compete. They also gave the team a poster-sized mounted photograph of them wearing their new adidas kit. Adidas has been the team’s technical and off-field apparel sponsor since the beginning of 2012 – but the team had to wear sponsored clothing from Erke during the Olympics, explained retired team member and again full-time adidas staff member, Kate Woods. Apart from the South African women’s team, adidas is also the clothing sponsor of the men’s and women’s teams of top hockey nations like Netherlands, Germany, England and Belgium. Two South African team members – striker Izelle Lategan and defender Lisa-Marie Deetlefs – are also contracted to play with adidas sticks. 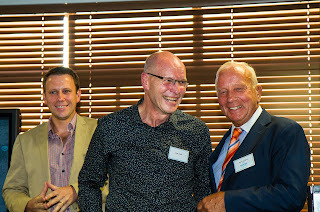 Head coach Giles Bonnet – who also coaches the Netherlands club Pinoke – explained the benefits several of the team members derived from playing professionally for Dutch clubs during their season (September-December and February-May). 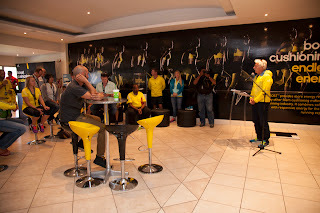 In an unofficial match before the start of the series (4–10 February) the reigning Olympic gold medalists and world champions beat the South African team 2-0. 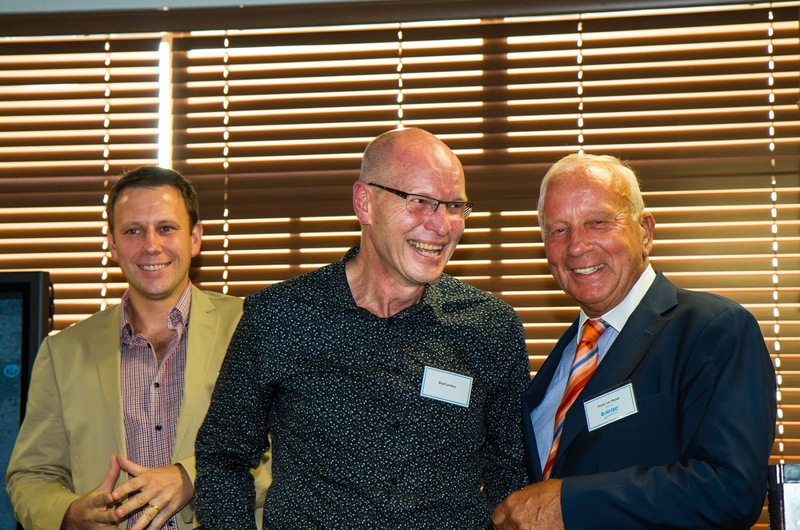 South Africa is again meeting the Netherlands in the Investec Challenge on February 7th. South Africa’s top striker Pietie Coetzee broke her world record by bringing her international goal tally to 260 goals in 259 test matches and 13 goals in 6 tests in the test against England on February 4. She shot two goals against England in the match won 4-1 by South Africa. The next evening South Africa and Australia played to a 1-1 draw. In the unofficial pre-test match South Africa beat Australia 4-0.